Farrar, Straus and Giroux (BYR), 9780374300654, 288pp. Running away from home isn't as easy as Ren thinks it will be. At least she isn't running very far-just a few miles to the ghost town of Fortune . . . or Mis-Fortune as everyone else calls it. Mis-Fortune on the Mississippi. Supposedly, there's an abandoned school on the outskirts with cheap rooms for rent. Ren knows her plan sounds crazy. But with only a few more weeks until Dad comes home from his tour of duty in Afghanistan, she also knows she has to do something drastic so Mom will come to her senses and stop seeing that creep Rick Littleton for good. From the moment she enters the school's shadowy halls, Ren finds herself drawn into its secrets. Every night old Mrs. Baxter, the landlady, wanders the building on a mysterious quest. What could she be up to? And can Mrs. Baxter's outlandish plan to transform the gym into a pearl-button museum ever succeed? With a quirky new friend named Hugh at her side, Ren sets out to solve the mystery that could save Fortune from fading away. But what about her family's future? Can that be saved too? 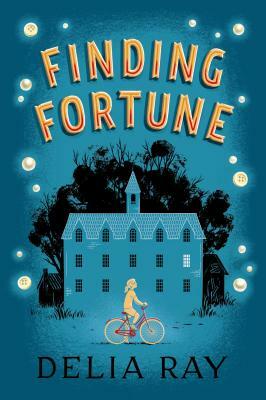 Delia Ray is the author of Finding Fortune.